Back in February of 2004, I was driving near the foothills south of Twin Falls, Idaho. The sun was setting and the temperature was dropping rapidly. 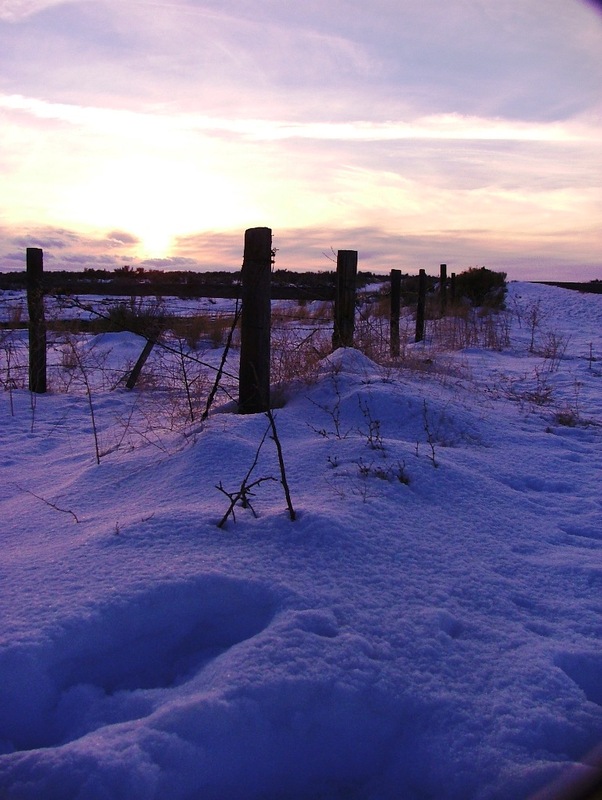 I pulled to the side of the road just in time to snap this photo of an old fence on the snow-covered plain with the sunset in the background.